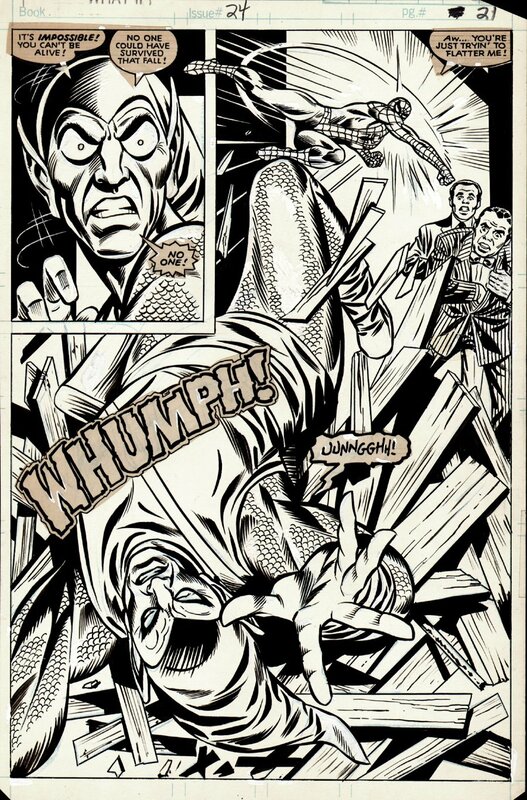 Check out this "AMAZING" 1980 SPIDER-MAN BATTLE SPLASH, which was penciled by the great Amazing Spider-Man artist team of Gil Kane, and inks by the great Frank Giacoia, from the classic story titled: "What If Gwen Stacy Had Lived?" 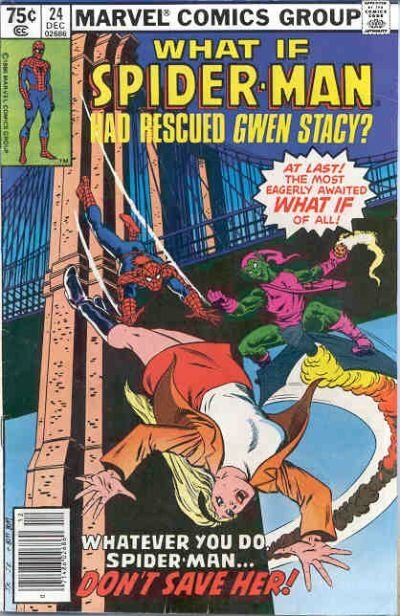 This AWESOME SPLASH features a Homage to the ever classic Gil Kane splash page from Amazing Spider-man #121 where Spider-man clobbers the green Goblin with 1 huge punch after Spider-Man realizes the Green Goblin just killed his beloved Gwen Stacy! Splashes by Key heroes, and drawn by Key Artists are incredibly hard to find in the open market, so don't pass up on this beauty, which is a rare opportunity to even see, much less have an opportunity to OWN a nice Gil Kane Spider-Man Splash to such a classic story!